Did you know that 100,000 young people live in an area at risk of flooding? But only 75% of 18-24 year olds checked if they are at risk in the last year? This is just one of the headlines from our survey showing how everyone needs to become more #floodaware. That’s why we launched our annual flood action campaign this week to urge everyone to check their flood risk and take simple steps to protect themselves. We want everyone to sign up for our free flood warnings and make a flood plan. People have told us they want simple, relevant information about flood risk so our new website makes checking your flood risk easy - just type in your postcode. Today the EFRA Committee published its report on future flood prevention. It makes an important contribution to the debate about how best to protect people from flooding just as we need people to do their bit and become #floodaware. I’ve seen for myself the devastating impact last winter’s flooding had on communities, lives, and livelihoods. My heart goes out to all those who are still trying to get back to normal. Last winter’s record-breaking rainfall left many of our flood defences (which protected 12,500 properties during Storm Desmond and 10,900 during Storms Eva and Frank) badly damaged. Thanks to the tireless work of Environment Agency teams on the ground, as part of a recovery effort involving over 650 individual repair projects, all those communities affected by last winter’s floods now have the same level of protection they had before last December. But of course we want communities to be better protected in future. So alongside our repair work and helping communities recover we also completed over 130 new schemes since January. 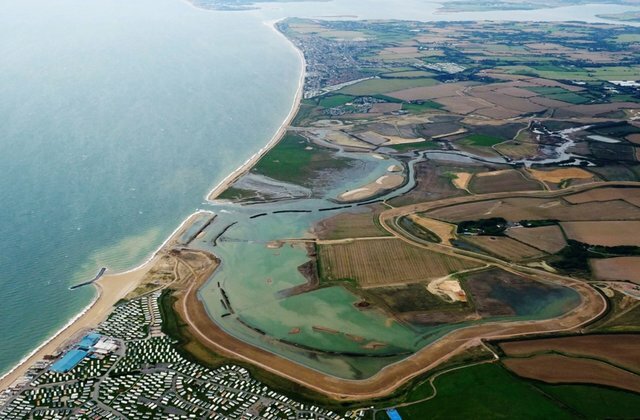 Better protecting over 55,000 homes from flooding. This is another step towards our aim of investing £2.5 billion to better protect 300,000 homes by 2021. Of course it’s not all about building barriers and higher walls. Natural flood management can also reduce flood risk, alongside traditional defences and property resilience, with schemes around the country including Medmerry, Morpeth and Pickering. It’s about working in partnership too. One of my key themes as I start my tenure as Chair. 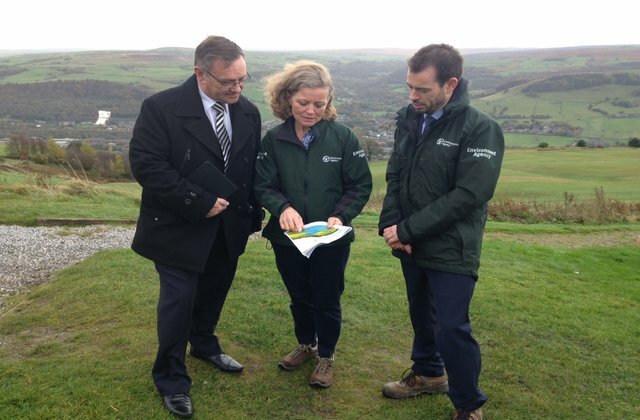 The Calderdale flood action plan, which I launched in Yorkshire last week, is a great example. We have invested £55 million; working with councils, community groups, and water companies to come up with a long term plan to reduce flood risk across Calderdale. We’re also teaming up with the Woodland Trust and Forestry Commission to plant trees where this can make a difference. Our recent Cumbria flood action plan, river basin management plans, and catchment partnerships, all demonstrate that alongside managing flood risk strategically across the country, our local teams work with partners and communities to ensure our flood planning reflects local needs. Yet we had a painful reminder last year. That despite everyone’s best efforts, we cannot prevent all flooding. This is why we have been investing in responding more rapidly and flexibly when flooding occurs. Last month saw us run a major flood response exercise. Over 1000 staff were involved. 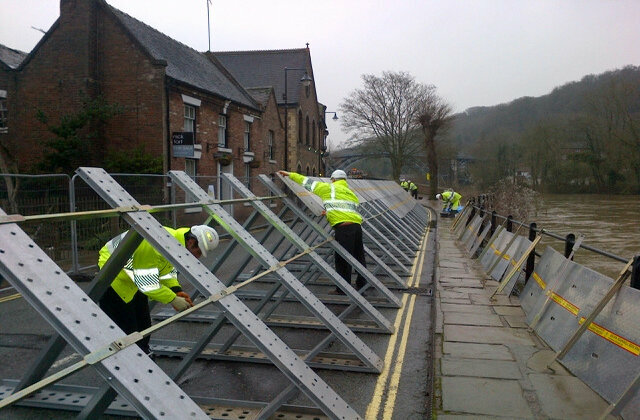 It enabled us to test our new temporary flood barriers, high volume pumps, incident command vehicles, and drones. We signed a deal with Stobart Group to ensure that we can get our kit wherever it is needed in the country faster. We now have 6,500 staff trained to respond to incidents and 500 flood support officers. Despite all this we are far from complacent. 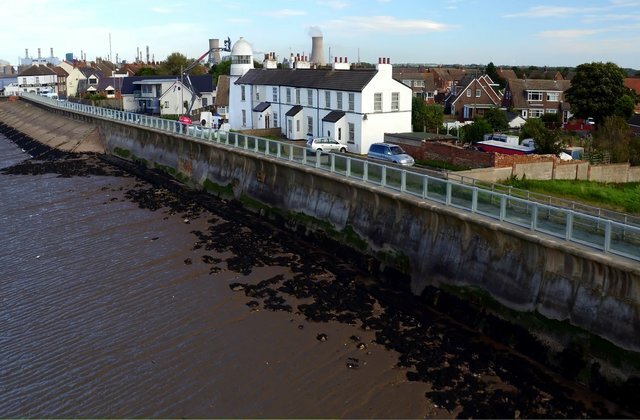 We are always looking at what we can do to improve the service we deliver to the public and our customers; repairing, maintaining, upgrading, and adding to those flood defences that help to reduce the risk of water ending up in your street, in your house. Preparing for flooding is everyone’s responsibility, whether that’s checking your flood risk or investing in door barriers, moving up electrical sockets, and concreting floors to ensure that, if the worst happens and you are flooded, you can be back in your home sooner. However you look at it checking your flood risk now and thinking about what actions you can take is a very wise investment: in the long run it could save you not only thousands of pounds but an awful lot of heartache. It is worth taking a serious look at the work of the Colne Valley Tree Society who work at improving their local environment in the next valley to the river Calder. A local group of ordinary people concerned by the legacy of industrial pollution and despoilation of their valley in the mid 1960's set up to change that. They have each winter since planted trees on land were the lanowner has agreed to it. to start with they planted mainly over spoil sites and old quarries, now a lot of planting is in the cloughs. The first 50 years of their ongoing operation has transformed the valley, it is unrecognisable from old photographs. The amazing thing is they have done it all themselves, buying the trees and guards, raising the funds from various charitable institutions, local authorities and forestry grants. Having planted well over 300,000 trees, i would say they are the true pioneers of the community forest. The area they plant trees instretches from the heart of Huddersfield to the village of Marsden which nestles under the pennine hills. It is well worth looking at their web site and blog page to see the extent of their effort and success in restoring their valley.